A test to detect the gene that makes Haflinger horses susceptible to a form of eye cancer has been developed by researchers at the University of California, Davis. The university’s equine genetic and opthamology teams worked together to develop the screening test for ocular squamous cell carcinoma in the breed. The test will help horse owners and veterinarians identify horses at the highest risk of developing this cancer. Earlier detection could lead to a better outcome for these animals. The test results could also be used in breeding decisions that could lower the incidence of this cancer in the breed. The test, available through the university’s Veterinary Genetics Laboratory, requires owners to supply 20-30 hairs with roots. The cost is $US40 per horse. Squamous cell carcinoma is the second most common type of tumor in the horse and the most frequent tumor of the horse’s eye. Several factors believed to increase risk include, among others, exposure to ultraviolet light, pigmentation and genetics. 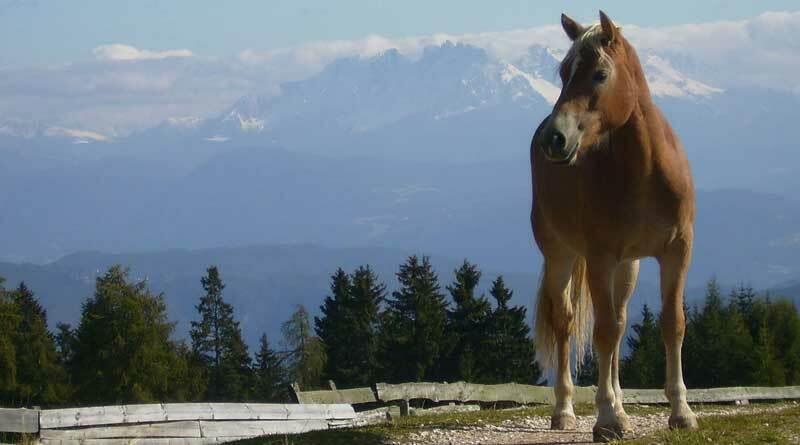 The Haflinger breed has a higher reported incidence of this cancer in both the limbus – the region where the cornea meets the white of the eye – and the third eye lid, indicating that genetic factors play a role in this breed. When originating at the limbus, the cancer can spread into the cornea, and quickly lead to visual impairment and destruction of the eye. Researchers at the university’s School of Veterinary Medicine and the Veterinary Genetics Laboratory investigated the cancer in the Haflinger breed and determined that a recessive mode of inheritance explained some of the genetic components behind its development. They also discovered a DNA marker that identifies horses at higher risk to develop the cancer in their limbus and/or third eye lid. Horses homozygous for the risk factor (R/R) are 5.5 times more likely to develop ocular squamous cell carcinoma than those with one copy (R/N) or no copies (N/N) of the risk factor. This risk factor does not explain all cases of the cancer in the eye, but it appears to be a major contributor in Haflingers. The gene is the only known genetic risk factor for this cancer in horses. Owners and breeders of Haflingers can use the DNA test result to identify higher risk horses. Homozygous horses (R/R) are advised to have routine eye exams performed by a veterinary ophthalmologist for early detection and better prognosis, and are advised to wear an ultraviolet-protecting fly mask when out during the daylight hours. Breeding homozygotes (R/R) and heterozygotes (R/N) among or to each other should be avoided in order to reduce the chances of producing horses that have a high risk of developing this cancer. The ideal mate in either case is a horse with no copies of the risk factor (N/N). More information on the test is available here. Lassaline, M., Cranford, T.L., Latimer, C.A., Bellone, R. (2015) Limbal squamous cell carcinoma in Haflinger horses. Veterinary Ophthalmology 18(5) 404-408. doi:10.1111/vop.12229. Bellone, R., Liu, J., Drizin, S., Sa., S., Huynh, M., Seferian, R., & Lassaline, M.A. Genome-Wide Association Study Identifies Risk Locus for Limbal Squamous Cell Carcinoma in Haflinger Horses. Proceedings from the Eleventh International Equine Gene Mapping Workshop, Hannover, Germany, July 2015.